Coverage A applies to homeowners and condo owners policies. Coverage B applies to homeowners policies. Coverage A Dwelling provides coverage for your home (while used as a private residence) and any structures attached to it. Note: The basic condo owners policy (HO-6) provides $5,000 for Building Additions and Alterations Coverage under this part of the policy at no additional premium charge. This coverage applies to that part of the building which is the responsibility of the unit-owner. If necessary, the amount of coverage can be increased for an additional premium. Coverage B Other Structures automatically provides coverage for structures located on your premises but not attached to your home (detached garage, storage shed, etc.). The remaining coverages apply to homeowners, condo owners and renters policies. Coverage C Personal Property provides coverage for the property you own or use anywhere in the world (furniture, clothing, etc.). Special Limits apply to Personal Property as listed below. $200 for money, bank notes, bullion, gold other than goldware, silver other than silverware, platinum, coins and medals. $1000 for securities, accounts, deeds, evidences of debt, letters of credit, notes other than bank notes, manuscripts, personal records, passports, tickets and stamps. $1000 for watercraft, including their trailers, furnishings, equipment and outboard motors. $1000 for trailers not used with watercraft. $1000 for loss by theft of jewelry, watches, furs, precious and semi-precious stones. $2000 for loss by theft of firearms. $2500 for loss by theft of silverware, silver-plated ware, goldware, gold-plated ware and pewterware. $2500 for property, other than computer equipment, on the residence premises, used at any time or in any manner for any business purpose. $250 for property, other than computer equipment, away from the residence premises, used at any time or in any manner for any business purpose. $1000 for loss to certain electronic apparatus, other than computer equipment, covered by the policy. $4000 for loss to computer equipment. If you feel that you need extra protection for one or more of these items, please refer to the description of HO-65 in the Endorsement section of this Guide. The classes of property listed above may not account for all of your valuables. We will review your particular insurance needs if you have items such as fine arts, antiques and/or collections. Coverage D Loss of Use provides coverage for additional expenses you would incur if your home was uninhabitable as a result of a covered loss. Volcanic eruption, other than loss caused by earthquake, land shock waves or tremors. Additionally, the HO-2 and HO-3 forms for homes and the HO-4 form for renters will cover damage by a vehicle to the dwelling or to personal property. For HO-2 and HO-3 forms only, there is coverage for damage to fences, driveways or walks caused by a vehicle driven by a nonresident. The HO-6 form provides all of this same protection for condo owners, but it is limited to the property which is the condo unit owner’s responsibility under a corporation or association of property owners agreement. For structure damage, the HO-3 policy provides special, broader coverage than the HO-2. Instead of naming specific perils that are covered, the HO-3 covers damage to the dwelling and other structures unless the cause is specifically excluded. The exclusions — such perils as earthquake, flood, neglect, wear and tear, deterioration and others — are listed in the policy. Vandalism or malicious mischief even if the dwelling has been vacant for more than 30 consecutive days. Damage to fences, driveways or walks by a vehicle even when it was driven by a resident. Accidental damage to floors, ceilings and walls. Scorching of countertops, such as inadvertently placing a hot pan on a kitchen counter. Water damage to walls and ceilings caused by alternate freezing and thawing of snow and ice on roofs. The HO-3 policy costs more than the HO-2, usually an average of approximately 5%, and is subject to Company approval, but home owners should consider the value of this insurance protection. The quality of local fire protection — Municipalities have different capabilities in combating fire. Many factors such as volunteer vs. full-time firefighters and the availability of approved fire hydrants and equipment make up the protection classification assigned to your area. Type of construction — Masonry or noncombustible materials decrease the possibility of severe damage or total destruction in the event of a fire. A home with at least two thirds of its exterior wall area constructed of these materials may benefit from a lower premium. Where you live — The average cost of a Homeowners policy is affected by the different loss experience of the cities and counties throughout the state. Coverages, limits and deductible — The more coverage, the higher the limits, and the lower the deductible, the more your insurance will cost. Discounts ranging from 2% to 20% are automatically applied to any home that is less than 12 years old. The age of the dwelling is determined by the time since completion of the original construction. This discount applies to homeowners policies only. Credits from 2% to 18% are available for various types of burglar alarms, smoke alarms, fire alarms and automatic sprinkler systems. A 15% discount is given automatically to any home, condominium or apartment unit if the exterior walls, floors and roof are built with noncombustible materials. If you have both a Homeowners and an Automobile insurance policy with the same company, you may be eligible for a discount on your Homeowners premium (excluding several optional coverages). We will automatically apply the discount to your policy if our records indicate that you qualify. Now that we have discussed the different types of policies, let’s see how the actual amount of coverage is determined. Coverage A Dwelling — In order for your home to be protected completely, you should buy insurance which equals the full rebuilding cost of your home rather than the selling price. If you don’t maintain enough insurance coverage and your dwelling is damaged, your loss may not be covered in full. But there is another impact of buying too little insurance. If you don’t have the proper coverage and part of your dwelling is damaged (for instance, a windstorm destroys your roof), you may not receive full insurance reimbursement for repairing that part of your home. You may receive only partial reimbursement. To receive full reimbursement for your losses under Coverage A Dwelling, you should buy coverage for 100% of the replacement cost of your dwelling. The replacement cost is the amount needed to rebuild the structure, not necessarily the market value. If your insurance coverage is less than 80% of the dwelling’s replacement cost at the time of the loss, you will be considered underinsured and may receive only partial coverage. How do you determine if you have enough dwelling coverage? We can assist you in estimating the approximate reconstruction cost of your home through the use of a program developed by the leading provider of building cost information. Customers are receiving surveys, which provide details about the various components of their homes, to fill out and return. New policyholders receive these forms after their initial home inspections take place; renewing policyholders get them before receiving their renewal questionnaires. Customers are reminded – it is required to insure homes to their proper value. Coverage D Loss of Use — 20% of Coverage C for Form HO-4, 40% of Coverage C for Form HO-6. This amount can be increased if necessary. Applies to home owners, condo owners and renters policies. Coverage E Personal Liability provides coverage for Bodily Injury or Property Damage for which you are legally liable. Coverage F Medical Payments to Others provides coverage for medical expenses incurred by others. Neither Coverage E nor F applies to you or any regular members of your household. All policies automatically provide a Coverage E Personal Liability limit of $100,000 and a Coverage F Medical Payments to Others limit of $1,000. Higher limits are available for a reasonable charge. You may wish to consider choosing a Personal Liability limit consistent with your other insurance at a level not less than $300,000. Every Homeowners policy has a deductible that applies to Section I Property Coverages. A deductible is the dollar amount for which you are responsible in the event of a covered loss. You will have a PREMIUM SAVING by selecting the highest deductible you could afford if a loss occurs. The Homeowners deductible routinely quoted is $500, but we offer other choices. The higher the deductible, the lower your premium. We require a minimum deductible of $1,500 in certain circumstances where the exposure to wind damage is high or for homes located in coastal regions. Special hurricane deductibles also may be imposed on certain risks located at the New Jersey shore. These special deductibles apply only to New Jersey Re-Insurance Company policies. The primary purpose of Homeowners coverage is to protect you against a catastrophe, not for reimbursement of smaller losses which you could handle yourself. Consider the likelihood of having a claim versus the premium saving provided by a larger deductible. Accelerated Benefits Rider: An adjustment (rider) to a life insurance policy that allows for the early payment of some portion of the policy’s face amount should the insured suffer from a terminal illness or injury. Accidental Death Insurance: An Insurance policy that provides payment if the insured’s death occurs as a results from an accident. Accident Forgiveness: In most states, if you’ve been an accident-free policyholder for five years you may qualify for this program. Accident forgiveness means that won’t add a surcharge to your premium after your next at-fault accident. Accounts Receivable Coverage: Covers loss of sums owed to the insured by its customers that are uncollectible due to damage by an insured peril to accounts receivable records. Actual Cash Value (ACV): Cost to repair or replace damaged property with materials of like kind and quality, less depreciation. Actuary: An insurance professional skilled in the analysis, evaluation, and management of statistical information. Evaluates insurance firms’ reserves, determines rates and rating methods, and determines other business and financial risks. Additional Insured: A person or organization for whom insured status is arranged by endorsement. Additional Living Expenses: Extra charges covered by homeowner’s policies over and above the policyholder’s customary living expenses. They kick in when the insured requires temporary shelter due to damage by a covered peril that makes the home temporarily uninhabitable. Adverse Carrier: Term used to refer to the other party’s insurance company. Advertising Injury: General liability coverage that insures against libel, slander, invasion of privacy, copyright infringement and misappropriation of advertising in connection with the insured’s advertising of its goods or services. Aggregate: The maximum amount an insurance company will pay during the policy. All Risk Coverage: Property insurance covering loss arising from all causes of loss except those that are specifically excluded. Amendment: A change to the basic policy contract. An amendment alters the policy; an endorsement adds to it. Annuity: A contract that pays out for a stated period for life; this plan is designed to liquidate funds. Application: A form with the information needed for an insurance company to underwrite and rate a specific policy. At-home Recovery: Short term, at-home assistance with activities of daily living while recovering from an illness, injury, or surgery. Audit: A verification of the financial records, usually payroll or receipts, of an organization to determine exposures and premiums. Automobile: A land motor vehicle, trailer or semi-trailer designed for travel on public roads, not including ‘mobile equipment’. Bailee Coverage: Coverage on property left in the care of the insured for storage, repair or servicing. Basic Cause of Loss Form: Property coverage for named perils: Fire, Lightening, Explosion, Smoke, Windstorm, Hail, Riot, Civil Commotion, Aircraft, Vehicles, Vandalism, Sprinkler Leakage, Sinkhole Collapse and Volcanic Action. liability that can be carried by an insured. Benefit Period: The length of time during which a benefit is paid by the insurance carrier to the insured. Blanket Insurance: Coverage for more than one type of property at one location or one type of property at more than one location. Bodily Injury by Accident Limit: The most an insurer will pay under Part Two of a Workers’ Compensation Policy for claims arising out of any one accident, regardless of how many employee claims arise out of the accident. Bodily Injury by Disease, Each Employee : The most an insurer will pay under Part Two of a Workers’ Compensation Policy for damages due to bodily injury by disease to any one employee. Bodily Injury by Disease-Policy Limit : The most an insurer will pay under Part Two of a Workers’ Compensation Policy employee bodily injury by disease claims during the policy period regardless of the number of employees who make such claims. Bodily Injury Liability: Protects you if you are determined to be responsible for an accident in which someone is injured or a fatality occurs. This liability coverage takes care of medical expenses, lost wages, pain and suffering. Boiler & Machinery Insurance: Coverage for loss caused by mechanical or electrical equipment breakdown, including damage to the equipment. Bond: A written agreement in which one party, the surety, guarantees the performance or honesty of a second party, the principal (obligor), to the third party (obligee) to whom the performance or debt is owed. Brands and Labels Endorsement: Property insurance coverage that allows the insured to remove labels from damaged goods or mark the items as ‘salvage,’ provided the goods are not damaged in the process. Broad Causes of Loss Form: Property coverage for the named perils: Fire, Lightening, Explosion, Smoke, Windstorm, Hail, Riot, Civil Commotion, Aircraft, Vehicles, Vandalism, Sprinkler Leakage, Sinkhole Collapse, Volcanic Action, Breakage of Building Glass, Falling Objects, Weight of Snow, Ice or Sleet, Water Damage (in the form of leakage from appliances) and Collapse from Specified Causes. Building Ordinance Coverage: Covers against loss caused by enforcement or ordinances or laws regulating construction and repair of damaged buildings. Burglary: Theft of property by forcible entry, which is evidenced by visible signs, in a premises, by a person. Burglary and Theft Insurance: Insurance for the loss of property due to burglary, robbery or larceny. It is provided in a standard homeowner’s policy and in a business multiple peril policy. Business Auto Policy: Auto Policy for businesses that includes auto liability and auto physical damage coverages. Business Income Coverage: Insurance covering loss of income by a business when operations are interrupted due to property loss that is a covered cause of loss. Business Interruption Coverage: See Business Income Coverage. Business Owners Policy (BOP): A policy that combines property and liability coverages for special types of small businesses. Cancellation: The termination of an insurance policy usually before its expiration. Care, Custody or Control: An exclusion of liability insurance which eliminates coverage for damage to property in the insured’s care, custody or control. Carrier: The insurance company which provides coverage. Cash Value: The equity amount or “savings” accumulation in a whole life insurance policy. Casualty Insurance: Insurance that covers loss caused by injuries to persons and the legal liability imposed on the insured for injury or for damage to property of others. Catastrophe: A severe loss causing sizable financial loss. Causes of Loss Forms: The commercial property forms that define the covered causes of loss for which coverage is provided. Commonly, there are 3 Cause of Loss Forms: Basic, Broad and Special. Certificate of Insurance: A document providing evidence that insurance has been purchased. Claim: A request by a policyholder or a claimant for payment under a policy of insurance. Claim Expense: Expenses of settling or investigating a claim. Claimant: The person presenting a claim. Claims-made Policy: A form of insurance that pays claims presented to the insurer during the term of the policy or within a specific term after its expiration. It limits liability insurers’ exposure to unknown future liabilities. Claims Reserve: An amount of money set aside to meet claims reported but not paid. Class: A group of businesses who have common or similar exposures and are grouped together for rating purposes. Classification: The arranging or establishing of business groups or categories for rating purposes. Cobra: Short for Consolidated Omnibus Budget Reconciliation Act. A federal law under which group health plans sponsored by employers with 20 or more employees must offer continuation of coverage to employees who leave their jobs and their dependents. The employee must pay the entire premium. Coverage can be extended up to 18 months. Surviving dependents can receive longer coverage. Co-Insurance Provision: An insurance provision for property coverages in which the policyholder must carry an amount of insurance that is at least equal to a set percentage of the value of the property in order to receive full payment of a loss. Collapse: Collapse of a building and collapse of personal property within a building due to specified causes (such as weight of snow, ice or rain). Does not include collapse due to design error or due to faulty workmanship or materials if the collapse occurs after construction is complete. Commercial General Liability Policy (CGL): A coverage which protects business organizations against liability claims for bodily injury and property damage. Those claims may be the result of events at your place of business, from your business operations, the products or services you make or do, communications or advertisements your business broadcasts. Commercial Multiple Peril Policy: Package policy that includes property, boiler and machinery, crime, and general liability coverages. Comparative Negligence: A doctrine of law that, in some states, may enable claimants to recover a portion of their damages even when they are partially at fault, or negligent. Each party’s negligence is compared to the others and a claimant’s recovery can be reduced by the percentage of his or her own negligence. Competitive State Funds: State-owned and operated facilities that write Workers’ Compensation Insurance solely for that state. Completed Operations: A General Liability coverage for the work of the insured that has been completed away from the business premises. Comprehensive Auto Coverage: Covers an automobile for loss or damage for all causes except for those specifically excluded. Compulsory Insurance: Insurance that is required by law. Concealment: Failure to disclose facts which may void an insurance policy. Conditional Receipt: Given to policy owners when they pay a premium at the time of the application. These receipts bind the insurance company, provided your policy is approved, but are subject to any other conditions stated on the receipt. Conditions: Things agreed upon in an insurance policy that state the rights and the requirements of the insured and the insurer. Consequential Loss: An indirect loss such as the reduction in value of property that is the result of a direct damage loss. Constructive Total Loss: Term used when damage to property is more than the value of the property. Contract: An agreement between two or more parties with characteristics of mutual assent, competent parties, a valid consideration and legal subject. Countersignature: The signature of a licensed agent or representative on a policy that is required to validate the policy. Cross-Purchase Plan: An agreement that provides that upon a business owner’s death, surviving owners will purchase the deceased’s interest, often with funds from life insurance. Cumulative Injury: A type of injury which occurs from the repetition of tasks over an extended length of time. Data Processing or EDP Coverage: All risk property insurance for electronic data processing equipment (computers), computer programs and data including mechanical breakdown, electrical injury and changes in temperature and humidity. Declarations: A section of an insurance contract that sets forth information that includes the insured, what is covered in the contract, and the property covered, as well as rates and premiums, limits, deductibles, coinsurance percentages, and so forth. Debris Removal: The cost of removal of debris from covered property damaged by an insured peril. Deductible: The amount of loss which is paid or absorbed by the insured prior to determining the insurance company’s liability. Defined Benefit Plan: A retirement plan under which pension benefits are fixed in advance by a formula based generally on years of service to the company multiplied by a specific percentage of wages, usually average earnings over that period or highest average earnings over the final years with the company. Defined Contribution Plan: An employee benefit plan under which the employer sets up benefit accounts and contributions are made to it by the employer and by the employee. The employer usually matches the employee’s contribution up to a stated limit. Deposit Premium: The amount of premium required at the beginning of a policy prior to the actual premium being determined. Depreciation: The reduction in value of property over a period of time. Usually as a result of age, wear and tear, or economic obsolescence. Direct Damage: Causes of loss that produce direct and straightforward property damage (without interruption in time or deviation in space) from the cause of the event to the damaged property. Disability Income Insurance: A health insurance policy that provides payments to replace income when an insured is unable to work as a result of an accident or sickness. Dismemberment: Loss of a limb or part of a limb (also includes loss of sight). Dividend: The portion of the premium that is returned to the policyholder of a participating (par) insurance policy when losses or expenses are less than anticipated and/or investment returns are greater. Driver Other Car Endorsement: An endorsement that can be added to an automobile policy that gives protection while the insured designated in the endorsement is driving a car other than the one named in the policy. Drop Down Provision: A clause used in Umbrella policies providing that the Umbrella will ‘drop-down’ over underlying policy aggregate limits when they have been reduced or exhausted. Earned Premium: The amount of premium that has been used for certain periods of time. Earth Movement or Earthquake Exclusion: An exclusion found in most property insurance policies eliminating coverage for earth movement or earthquake, except ensuing fire. Electrical Damage or Injury Exclusion: An exclusion usually contained in property insurance policies eliminating coverage for damage to electrical appliances caused by artificially generated currents, except for ensuing fire or explosion. Eligible Expenses: Costs that are deemed medically necessary by Medicare. Elimination Period (Waiting Period): The period between the beginning of a disability and the date benefits begin. Emergency Care: Medical care needed immediately because of an injury or an illness of sudden and unexpected onset. Employee Dishonesty Coverage: Coverage for theft of money, securities or property by an employee. Employee Leasing: A staffing method which an employee leasing company provides all or most of its client’s employees. Employers Liability Coverage: Pays on behalf of the employer all sums that the employer becomes legally obligated to pay because of bodily injury by accident or disease sustained by any employee of the insured arising out of and in the course of his employment by the insured. Employment Practices Liability Insurance: A form of liability insurance covering wrongful acts arising from employment practices such as wrongful termination, discrimination and sexual harassment. Endorsement: A document attached to an insurance policy that changes the original policy provisions. Evidence of Insurability: Any statement or proof of a person’s physical condition, occupation, etc., affecting acceptance of the applicant for insurance. Excess and Surplus Lines Insurance: Coverage that is provided by insurers not licensed in the states where the risk is located. Expected or Intended: An exclusion for injury or damage that is expected or intended. Expediting Expense Coverage: Coverage providing reimbursement of expenses for temporary repairs and costs incurred to speed up the permanent repair or replacement of covered property or equipment. Expense Constant: A small flat expense charged to Workers’ Compensation policies. Experience Modifier: A debit or credit factor developed by measuring the difference between the insured’s actual past experience and the expected or actual experience of the class of business. Expiration: The ending date of an insurance policy. Exposure Base: The basis of rates that are applied to determine premium. Some exposures may be measured by payroll, receipts, sales, square footage, area, man-hours or per unit. Extra Expense Coverage: Coverage for reimbursement of expenses in excess of normal operating expenses that are incurred to continue operations after a direct damage loss. Extra Territorial Coverage: The coverage for extending workers’ compensation law to provide benefits for workers hired in one state but injured while working in another state. Fiduciary Liability: The liability placed on trustees, employers, fiduciaries and professional administrators with respect to errors and omissions in the administration of employee benefit programs. Final Expenses: Expenses incurred at the time of a person’s death. These include but are not limited to: funeral costs, court expenses, current bills or debt, mortgages, loans and taxes. Fine Arts Coverage: Property insurance for works of art. Fire Department Service Charge Coverage: Coverage in a property insurance policy for charges incurred by the insured from a fire department for their services in fighting a fire. Fire Legal Liability Coverage: Liability coverage for the insured’s legal liability for fire damage to premises rented by the insured. Fire Wall: A wall designed to prevent the spread of fire from one part of a building to another. Firewall: A computer that protects a company’s private network from outside internet users. Flat Cancellation: The full cancellation of a policy as of the effective date of coverage which requires the return of paid premium in full. Floater: Attached to a homeowner’s policy, a floater insures movable property, covering losses wherever they may occur. Among the items often insured with a floater are expensive jewelry, musical instruments, and furs. It provides broader coverage than a regular homeowner’s policy for these items. Flood Coverage: Coverage for damage to property caused by flood. Follow Form: An umbrella policy provision that follows the underlying policy for coverages and policy provisions. Forgery or Alteration Coverage: Covers loss due to the dishonesty of writing, signing or altering of checks and bank drafts. Fortuitous Event: An event that is subject to change without the implication of suddenness. Fraud: Intentional lying or concealment by policyholders to obtain payment of an insurance claim that would otherwise not be paid, or lying or misrepresentation by the insurance company managers, employees, agents, and brokers for financial gain. Frequency: The number of times that a loss will occur within any given period of time. Full Coverage: Any form of insurance that provides payment in full of all losses caused by the perils insured against without applying a deductible or depreciation. Gap Insurance: An automobile insurance option, available in some states, that covers the difference between a car’s actual cash value when it is stolen or wrecked and the amount the consumer owes the leasing or finance company. Garagekeepers Coverage: Provides coverage to owners of storage garages, parking lots and body and repair shops for their liability of damage to automobiles left in their custody for safekeeping or repair. General Aggregate Limit: The maximum amount of insurance payable during the policy period for losses (other than those arising from the products – completed operations hazards as covered under the standard commercial general liability policy). General Liability Insurance: Insurance protecting businesses from most liability exposures other than automobile and professional liability. Glass Insurance: A property insurance policy covering breakage of building glass regardless of cause. Governing Classification: In Workers’ Compensation Insurance, the classification that best describes the workers’ compensation exposure of an employer’s business. Guaranteed Insurability: An option that allows the insured to buy additional amounts of insurance at future time intervals without evidence of insurability. Health Insurance: An insurance contract that pays a benefit for losses that occur because of sickness or bodily injury. Health Maintenance Organization (HMO): An organization that provides health care; each member pays a subscription fee for which they receive medical care if needed. Hired Automobile: An automobile whose exclusive use has been temporarily given to another for a monetary sum or other consideration. The business auto definition of ‘hired autos,’ however, includes autos borrowed except those borrowed from employees or partners. Homeowners Insurance Policy: The typical homeowner’s insurance policy covers the house, the garage and other structures on the property, as well as personal possessions inside the house such as furniture, appliances and clothing, against a wide variety of perils including windstorms, fire and theft. The extent of the perils covered depends on the type of policy. An all-risk policy offers the broadest coverage. This covers all perils except those specifically excluded in the policy. Hospital Expense Policy: A policy that covers daily hospital room and board charges and also covers miscellaneous expenses such as laboratory work, x-rays, and so forth; generally, this policy limits the total number of days covered and/or the total amounts of benefits it will pay out, such as $3,000 total in expenses. Host Liquor Liability: Liability coverage for hosts of business or social functions arising out of the serving or distribution of alcoholic beverages by a party not engaged in this activity as a business enterprise. Impaired Risk: Insurance industry term for an individual considered below average or an impaired insurance risk due to his or her dangerous habits, health condition, family history of disease, hazardous occupation or hobby, and/or residence in unhealthy surroundings. Also called Substandard Risk. Improvements and Betterments: Additions or changes made by a lessee at his own expense to property that may not legally be removed. Usually covered under the tenants property coverage. Incurred Losses: The amount of paid claims and loss reserves within a particular period of time, usually a policy year. Customarily computed as losses incurred during the period, plus outstanding losses at the end of the period, less outstanding losses at the beginning of the period. Indemnity: Principle of restoring the insured to his preloss financial condition (no better and no less). Independent Adjuster: A claims adjuster who provides adjustment services to insurance companies but is not employed by them. Independent Agent: An individual or firm who represents one or more insurance companies and operates as an independent business (such as Stiteler Insurance Agency). Independent Contractor: An individual or company who has agreed, in writing, with another party to perform a job or function on behalf of that party. Inflation Guard Provision: A provision that increases the limit of insurance by a specified percentage over a specified period of time to offset inflation costs. Insurable Interest: A requirement that states that an individual or organization will suffer a financial loss; in life and health insurance, it must exist at the time of application. Insurable Risk: Risks for which it is relatively easy to get insurance and that meet certain criteria. These include being definable, accidental in nature, and part of a group of similar risks large enough to make losses predictable. The insurance company also must be able to come up with a reasonable price for the insurance. Insurance: A formal social device for reducing risk by transferring the risks of several individual entities to an insurer. The insurer agrees, for a consideration, to pay for the loss in the amount specified in the contract. Insurance to Value: Insurance written in an amount equal to the value of the property or which meets coinsurance requirements. Irrevocable Beneficiary: A beneficiary that cannot be changed without that beneficiary’s consent. Increasing Term Insurance: Term life insurance in which the death benefit increases periodically over the policy’s term. Usually purchased as a cost of living rider to a whole life policy. Joint Life Policy: A policy that pays the face amount when the first of two or more die. Joint Venture: A business relationship when two or more persons join their labor or property for a business undertaking and share profits. Juvenile Insurance: Insurance policy written on a child (usually under age 15 or any age established by the state). Key Person Insurance: Insurance on the life or health of a key individual whose services are essential to the continuing success of a business and whose death or disability could cause the firm a substantial financial loss. Kidnap/ransom Insurance: Coverage up to specific limits for the cost of ransom or extortion payments and related expenses. Often bought by international corporations to cover employees. Most policies have large deductibles and may exclude certain geographic areas. Some policies require that the policyholder not reveal the coverage’s existence. Lapse: Termination of a policy due to the policy owner’s failure to pay the premium within the grace period. Leasehold Interest: Property insurance covering the loss suffered by a tenant due to termination of a lease because of damage to the leased premises by a covered loss. Lessee: The person to whom a lease is granted. Lessor: The person granting the lease. Liability: The legal obligation to pay a monetary award for injury or damage caused by one’s negligent or statutorily prohibited action. Liberalization Clause: A provision within an insurance policy that broadens the coverage if the insurance company offers a broader coverage form within the first 45 days of coverage. Lien: An obligation that can be held by an individual who has an interest in a particular matter or property. Limit of Liability: The most an insurance company agrees to pay in the case of loss. Limited Pay Policy: A type of whole life insurance designed to let the policyholder pay higher premiums over a specific time period such as 10 or 20 years so that they won’t have to pay any premiums for the rest of his or her life. Long Term Care (LTC) Insurance: This insurance pays for Custodial Care (think Care Giver) rather than Skilled Care (think Doctor or Nurse) and is designed to cover at least some of your expenses if you have a chronic but not life-threatening illness, a long-term disability, or you are unable to live independently because you can’t perform a number of the activities of daily living. Those activities of daily living typically include bathing, dressing, feeding yourself, taking medication, using the bathroom, and being able to move from a sitting to a standing position. Most contracts also cover cognitive impairments, such as Alzheimer’s disease. Under the terms of most long-term care contracts, you can be cared for at home or in a nursing home. Longshore and Harbor Workers’ Compensation Act: A federal law that provides workers’ compensation benefits to employees of a vessel injured in maritime employment – usually in loading, unloading, repairing or building a vessel – but not applicable to crew members. Loss: The amount an insurance company pays for damages under the terms of a policy. Loss Adjustment Expense: The cost assessed to a particular claim for investigating and adjusting that claim. Loss Constant: A flat charge added to the premium of small workers’ compensation policies to offset higher loss ratios. Loss Control: A technique that is put in place to reduce the possibility that a loss will occur or reduce the severity of those that do occur. Loss Ratio: Percentage of losses incurred against earned premiums. Loss Report: A form showing reported claims which provides information such as the date of occurrence, type of claim, amount paid and amount reserved for each loss. Loss Reserve: An estimated amount set aside for a particular claim that has not yet been paid. Lost Policy Release: A signed statement by the named when the insured wishes to cancel the policy, but has lost or mislaid the policy, which releases the insurance company from all liability or losses. Major Medical Insurance: A health insurance policy that provides high lifetime limits (catastrophic coverage) and generally has a high deductible; losses are paid on a participating basis (coinsurance: 80% by the insurer, 20% by insured). Master Policy: The policy issued to the employer (or other entity) under a group life or health insurance plan. Material Damage: All property-related damage losses covered by the policy. This includes the following: property damage (PD), comprehensive damage (COMP), collision damage (COLL), Fire/Theft Combined Additional Coverage (FTCA), rental reimbursement (RR), or uninsured motorist property damage (UMPD). Maturity Date: The date when a life insurance policy pays the face amount, either because of death or endowment. Medicaid: A medical assistance program for the needy that is administered by the state and subsidized by the federal government. Medical Expense Insurance: A health policy that provides benefits for medical and hospital expenses (also called hospital-surgical expense). Medical Information Bureau (MIB): A bureau formed by insurance companies for the purpose of exchanging information about the physical condition of prior applicants. Medical Payments, Auto: Coverage, which is optional, under an auto policy to pay for medical expenses for bodily injury caused by an auto accident, regardless of fault. Coverage for persons other than the named insured and his or her family members is typically restricted to circumstances when they are occupants of the insured auto. Medical Payments, General Liability: A general liability coverage that reimburses others, regardless of fault, for medical or funeral expenses incurred as a result of bodily injury or death sustained by an accident. Medicare: Health benefits provided under a federal program as part of the Social Security program. Mexico Coverage: Coverage which is sometimes provided under automobile policies for the operation of an insured motor vehicle within Mexico, usually limited to a stated number of miles from the U.S. border. Mobile Equipment: Equipment such as earthmovers, tractors, diggers, farm machinery, forklifts, etc., that even when self-propelled, are not considered as automobiles for insurance purposes. Monopolistic State Funds: States or Jurisdictions where an employer must obtain workers’ compensation insurance from a state fund or qualify as a self-insurer, as is allowed in five of the states: North Dakota, Ohio, Washington, West Virginia, Wyoming, Puerto Rico and the U.S. Virgin Islands. Mortality Rate: The number of deaths in a group of people usually expressed as deaths per thousand. Mortgage Guarantee Insurance: Coverage for the mortgagee (usually a financial institution) in the event that a mortgage holder defaults on a loan. Also called private mortgage insurance (PMI). Mortgage Insurance: A form of decreasing term insurance that covers the life of a person taking out a mortgage. Death benefits provide for payment of the outstanding balance of the loan. Coverage is in decreasing term insurance, so the amount of coverage decreases as the debt decreases. A variant, mortgage unemployment insurance pays the mortgage of a policyholder who becomes involuntarily unemployed. Motor Vehicle Report (MVR): A report from the agency that issues your driver’s license, listing accidents and violations that appear on your driving record. This report is used to verify information provided by insurance applicants and policyholders. Multi-Car Discount: Available to policyholders who insure more than one vehicle at the same location. Named Insured: An individual, partnership, or corporation specifically named as the insured in the declaration section of an insurance contract. Named Perils: A property insurance term referring to exact causes of loss specifically listed as covered such as; Fire or Lightning, Windstorms or Hail, Explosion, Riot or Civil Commotion, Aircraft, Vehicle Damage, Smoke, Vandalism and Malicious Mischief, Theft, Falling Objects, Weight of Ice, Snow or Sleet, Accidental Discharge or Overflow of Water, Sudden & Accidental Tearing Apart, Freezing, Sudden & Accidental Damage, Artificially Generated Current, Volcanic Eruption. National Flood Insurance Program: A federally funded program established to make flood insurance available to properties located in participating communities National Flood Insurance Program: A federally funded program established to make flood insurance available to properties located in participating communities. No-fault: Auto insurance coverage that pays for each driver’s own injuries, regardless of who caused the accident. No-fault varies from state to state. It also refers to an auto liability insurance system that restricts lawsuits to serious cases. Such policies are designed to promote faster reimbursement and to reduce litigation. This coverage is not available in all states, check with us to find out more. Non-admitted Insurer: An insurance company that is not licensed to do business in a specific state. The insurers may write coverage through an excess and surplus lines broker that is licensed in these jurisdictions. Noncancelable (Noncan): A health insurance plan that is guaranteed to be renewed to a stated age; the premiums are also guaranteed to that stated age. Nonforfeiture Values: The values in a life policy that the policyowner does not forfeit even if he ceases to pay the premiums; the cash value in the policy will be used in one of three ways: 1)cash value returned to the policyowner, 2)cash value buys extended term insurance, or 3)cash value buys a reduced paid-up life insurance policy. Nursing Home Insurance: A form of long-term care policy that covers a policyholder’s stay in a nursing facility. Occupational Hazard: A condition in the work place that increases the chances of an accident, sickness, or death. It usually will mean higher premiums. Occurrence: A continual, gradual or repeated exposure to substantially the same general harmful conditions. General liability policies insure liability for bodily injury or property damage that is caused by an occurrence. Package Policy: A policy providing several different coverages combined into one policy. Refers to a policy providing both general liability insurance and property insurance. Paid-Up Policy: A life insurance policy on which all premiums have been paid but that has not yet matured. Payroll Limitation: A limit on the amount of payroll for certain classifications used for the development of premium. Personal Property: All tangible property not classified as real property such as contents. Policy Fee: A one-time charge per policy that does not change with the size of the premium. Policy Period: The term or duration of a policy including the effective and expiration dates. Pollutant: An irritant or contaminant, whether in solid, liquid, or gaseous form, including smoke, vapor, soot, fumes, acids, alkalis, chemicals and waste. Pre-existing Condition: A condition of health or physical condition that existed before the date the policy was issued. Premises-Operations: A category of hazard ordinarily insured by a general liability policy which is composed of those exposures to loss that fall outside the defined ‘products-completed operations hazard,’ including liability for injury or damage arising out of the insured’s premises or out of the insured’s business operations while such operations are in progress. Premium Flexibility: The policy holder’s right to vary the amount of premium paid each month. Prepaid Hospital Service Plan: A plan in which members pay a flat fee to an organization (Health Maintenance Organization) in exchange for comprehensive health care services. Primary Policy: The insurance policy that pays first when you have a loss that’s covered by more than one policy. Probationary Period: The period between the effective date of a health insurance policy and the date coverage begins. Product Liability: The liability for bodily injury or property damage a merchant or manufacturer may incur as a consequence of some defect in the product sold or manufactured. Products-Completed Operations: General Liability coverage for liability arising out of the insured’s products or business operations conducted away from the insured’s premises once those operations have been completed. Professional Liability: Coverage designed to protect professionals such as physicians and real estate brokers, against liability incurred as a result of errors and omissions in performing professional services. Property Damage Liability: Covers the damage your vehicle causes to someone else’s property, including their vehicle, a storefront, fence or other structures. If you are found at fault for causing the damage, you are responsible financially. Quote: A statement of the premium that will be charged for insurance coverage’s based on specific information provided by the person requesting the quote including drivers, vehicles, and driving record. Redlining: Literally means to draw a red line on a map around areas to receive special treatment. Refusal to issue insurance based solely on where applicants live is illegal in all states. Denial of insurance must be risk-based. Rents or Rental Value Insurance: Insurance that reimburses a building owner for loss of rental income due to damage by an insured peril. Replacement Policy: A new policy written to take the place of one currently in force. Return Premium: The amount of premium due the insured should the actual cost of a policy be less than the insured previously paid. Robbery: Theft of property while force is used or threatened. Salvage: Damaged property which is taken over by the insurance company after payment of a claim. Short-Term Cancellation: Cancellation of an insurance policy prior to the expiration date in which a penalty in the form of a less than full pro-rata premium refund is allowed. Specified Causes of Loss Coverage: Auto physical damage coverage only for losses caused by the perils listed in the policy. Sprinkler Leakage Coverage: Coverage for property damage caused by the accidental discharge or leakage of water from automatic sprinkler systems or other fire prevention devices. Substandard Risk: Insurance industry term for an individual considered below average or an impaired insurance risk due to his or her dangerous habits, health condition, family history of disease, hazardous occupation or hobby, and/or residence in unhealthy surroundings. Also called Impaired Risk. Surplus Lines Insurance: Insurance written by insurers not licensed in the states where the risks are located and placed with such insurers under the surplus line laws of the various states. Time Element Insurance: A term referring to property coverage for loss of earnings or income resulting from the inability to put damaged property to its normal use. Term Insurance: Life Insurance protection during limited number of years; expiring without value if the insured survives the stated period, which may be one or more years but usually is five to twenty years, because such periods usually cover the needs for temporary protection. Transit Coverage: Coverage on the insured’s property while in transit from one location to another, over land. Umbrella Liability Policy: A policy designed to provide additional protection against catastrophic losses covered under liability policies, such as the business auto policy, commercial general liability policy, watercraft and aircraft liability policies and employers liability coverage. It provides excess limits when the limits of the underlying liability policies are used up by the payment of claims and it drops down and picks up where the underlying policy leaves off when the aggregate limit of the underlying policy in question is exhausted by the payment of claims. It also provides protection against some claims not covered by the underlying policies, subject to a self-insured retention. Unearned Premium: The portion of an advance premium that has not yet been used for written coverage; in the case of an annual premium, at the end of the first month, 11 months of premium would still be unearned. Underinsured Motorists Coverage: Provides coverage for bodily injury, and in some states property damage, for losses incurred by an insured when an accident is caused by a motorist who does not have sufficient insurance limits. Underwriter: Company receiving premiums and accepting responsibility for fulfilling the policy contract. Also, company employee who decides whether the company should assume a particular risk; or the agent who sells the policy. Universal Life: An interest-sensitive life insurance policy that builds cash values. The premium payer has control over how the policy is structured. He has the flexibility to eliminate the premiums (essentially pay up the policy and pay no more premiums) or have the premiums continue for life. Utility Service Interruption Coverage: Coverage for the loss to an insured due to lack of incoming electricity which was caused by damage from a covered cause of loss, such as a fire or windstorm, to property away from the insured’s premises – usually the utility generating station. Also referred to as ‘off-premises power coverage’. Valuable Papers and Records Coverage : Coverage that pays the cost to reconstruct damaged or destroyed valuable papers and records and usually includes almost all forms of printed documents or records except money or securities; data processing programs, data and media are usually excluded. Variable Annuity: An annuity contract in which the benefit paid out varies, usually in relation to the security market. Vehicle Identification Number (VIN): A 17-digit number assigned to each vehicle manufactured in the United States after 1980. This number is used for identification purposes and is visible on the dashboard when viewed from the outside of the vehicle. Waiver of Subrogation: Also known as ‘transfer of rights of recovery,’ the relinquishment by an insurer of the right to collect from another party for damages paid on behalf of the insured. Warranty: Statement of fact or a promise made by the insured that is part of the insurance contract and that must be true if the insurer is to be liable under the contract. Whole Life Insurance: Life insurance that is kept in force for a person’s whole life as long as the scheduled premiums are maintained. All Whole Life policies build up cash values. Most Whole Life policies are guaranteed as long as the scheduled premiums are maintained. The variable in a Whole life Policy is the dividend which could vary depending on how well the insurance is doing. If the company is doing well and the policies are not experiencing a higher mortality than projected, premiums are paid back to the policy holder in the form of dividends. Policyholders can use the cash from dividends in many ways; it can be used to lower premiums, purchase more insurance or it can be used to pay for term insurance. Workers’ Compensation: Protection which provides benefits to employees for injury or contracted disease arising out of and in the course of employment. Most states have laws which require such protection for workers and prescribe the length and amount of such benefits provided. 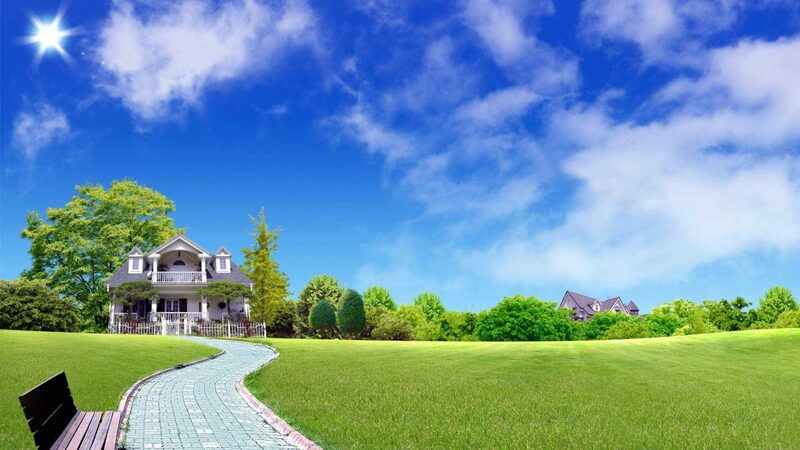 Get high risk house insurance help started now, enter your house/property information below. What Limits Should I Set on My Policy? The “dwelling” limit should be the amount it would cost to replace your home. This may have nothing to do with the purchase price or the current market value of your home, as homeowners insurance does not generally cover the land value of your insured property. Your insurance policy is not governed by the real estate market, but by the cost of the materials and labor involved in rebuilding your home. Insurance companies have formulas that they use to evaluate the replacement cost of your home. Since the formulas developed are unique for each company, different insurers may suggest or require different limits of coverage for your dwelling limit. Contact your agent or broker for assistance in evaluating your dwelling limit. In order to prevent a “he said, she said” situation from arising in the future, you need to document your discussions and inquiries in writing. Review your dwelling limit initially and upon renewal. Discuss any changes to your home in writing to your agent, broker, or insurer that may cause your dwelling limit to increase or decrease. Know the replacement cost of your home. 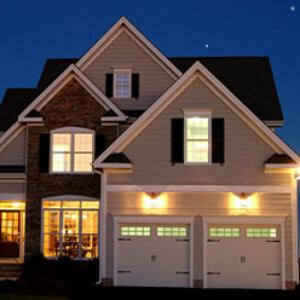 Be familiar with the building materials that make up your home including the construction type and any special features. Stay informed as to the current building costs in your area. Contact local general contractors and ask what the current price per square foot is for a home similar to your own. Keep accurate records of updates, renovations, and improvements to your home. Save receipts and samples of materials used when possible and contact your insurance agent or broker to increase the dwelling limit when appropriate. Contact your agent, broker, or insurance company if you believe your policy limits may be inadequate to request a comprehensive inspection of your home. If you believe that your dwelling limit is undervalued or overvalued, and you have submitted documentation in writing to your agent, broker, or insurer to raise or lower the limits and your request is refused, then contact the Department of Insurance in your state for assistance. The limited coverage amounts for specific types of personal property are not separate limits in addition to the contents limit. These limits are included in the overall contents limit and represent the maximum paid out for that specific type of personal property. Therefore, it is very important to add an endorsement (sometimes referred to as a “rider” or a “floater”) to coverage which specifically schedules and takes into account the value of personal property that you may own above the special limits. Contact your agent or broker to discuss how to adequately cover any personal property that is valuable, falls above the limits, or is in any way out of the ordinary. Also, make sure to take into account commonplace household items when calculating your contents limit. Often, people concern themselves only with big ticket items purchased for use in their homes and neglect to account for all the many things you need to run your household and enjoy your home such as small appliances, kitchen utensils, linens, window coverings, and sundries. Remember, personal property also includes clothing, shoes, accessories, and personal items.